With the rising scale of Intellectual Property theft, it has become imperative for every business to safeguard their official and important documents. These crimes are highly systematic and tracking their attempts can be impossible at times. To get access to your confidential and private business data, all your competitor need’s is one piece of paper from your garbage. In today’s world a small business requires a safe document destruction process as much as the bigger players in the industry. Your papers are a potential source of information that must be strictly shredded to preserve your confidentiality. You can no longer simply discard of your papers like any of your other waste. A systematic shredding process must be a standard section of file management programs in all small businesses. Your documents’ safe destruction is truly essential to the security of your business; the more secure the destruction of your documents, the less chance of any fraudulent actions. Recent changes to certain regulations now impose certain rules on document storage and destruction practices. In particular, local governments are now imposing strict regulations on various sectors such as insurance companies and law firms regarding their private and official information. For instance, credit card and banking information related documents need to be stored for a fixed period of time and destroyed in a certain manner. In such situations, getting the best document destruction service is key. When it comes to destroying your confidential documents, there is no better company than In Confidence to assist you. In Confidence takes care of the documents and product destruction services for its customers. Our process is one of the safest and most secured in the industry (We are currently Victoria’s only AAA Certified business). Whether you need a single document shredded or a room full of them, In Confidence can provide you unparalleled service. It is our responsibility to safeguard your interests. Once the documents are in our custody, it is first transported to the secure location and then deposited in our paper shredder system. This leaves the documents in an unrecognisable state and your business absolutely secure. Our main intention apart from providing you safety is to protect our environment. We use only ethical paper shredding techniques that are environmentally friendly. 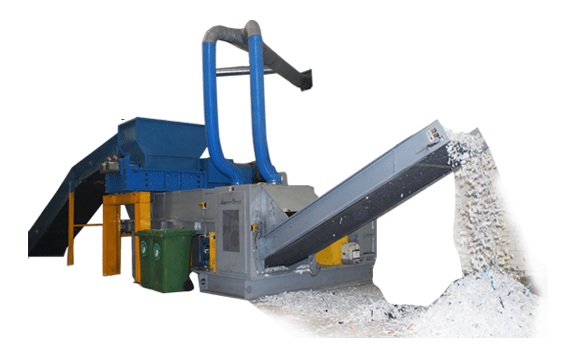 Once your entire information is destroyed, the paper residue is baled and then processed for recycling. All our containers and industrial shredding machines are closely observed by our team 24/7 through CCTV’s and the machines are completely locked and secured, so the chances of theft or fraud are absolutely negligible.